Take Extras to gain boost!! What are you waiting for? Contact us if you have any confusion! 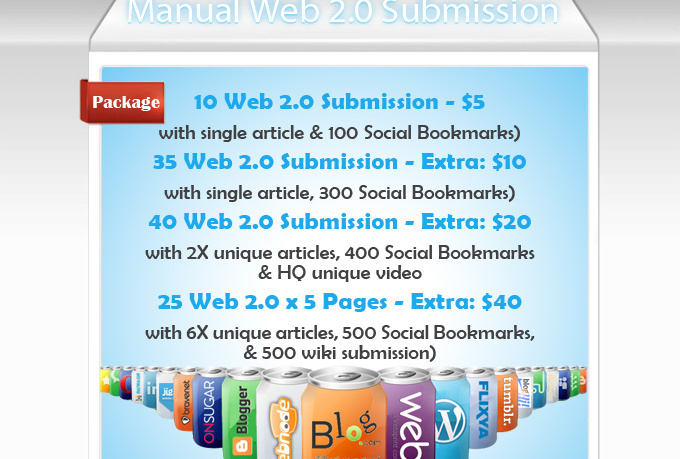 provide Manual Web20 Blog Writing and Submission Service is ranked 5 out of 5. Based on 20 user reviews.